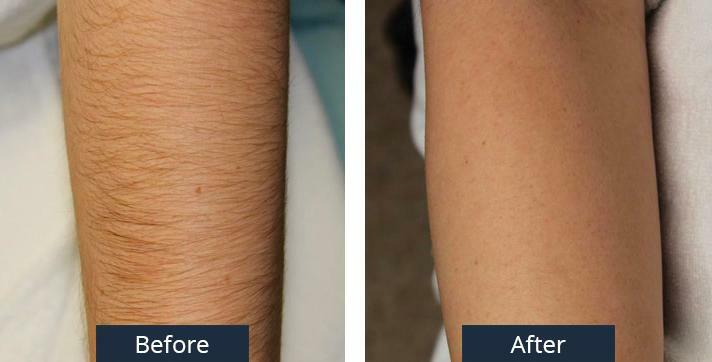 Laser hair removal is a procedure that permanently reduces the amount of unwanted body hair by killing the roots of the hair follicles in the targeted zone, whether face, body, or bikini area. Laser hair removal is the most effective way to keep skin smooth and hair-free. Unlike waxing and shaving, the treatment is far more effective in reducing unwanted hair, and after treatment, you can enjoy smooth, hair-free skin for the long term. As our bodies naturally produce new hair over time, maintenance sessions may be needed once or twice a year following the initial treatment. Both men and women can enjoy the benefits of laser hair removal at The Gallery of Cosmetic Surgery in Lynnwood, WA. I don't know why I waited so long for laser hair removal! To think of all the time I used to spend shaving! I love the results from my Laser Hair Removal at The Gallery of Cosmetic Surgery. You won't be disappointed!